There are more things to do in Pilsen Czech Republic than you can shake a mug of beer at. Welcome to Pilsen Czech Republic, the birthplace of Pilsner beer. 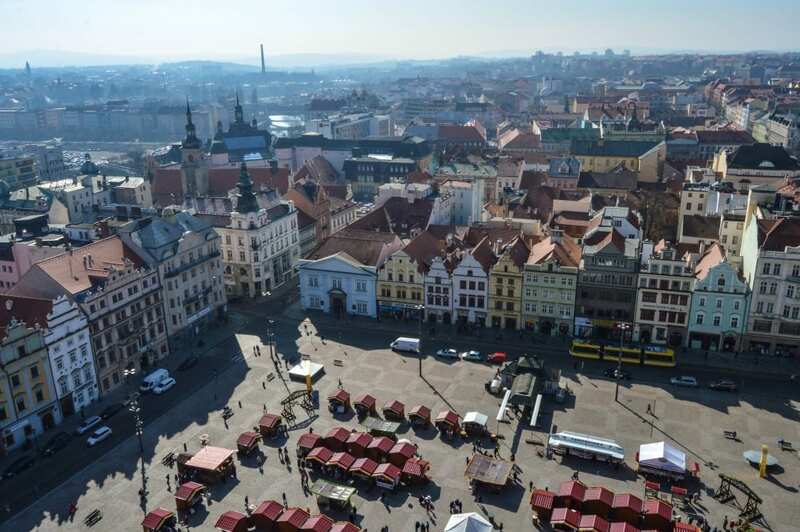 The fourth largest city in the Czech Republic, Pilsen, (Plzeň in Czech), is a quick 90 minute train ride away from Prague, making Europe’s Capital of Culture in 2015 an easy day-trip for anyone visiting the country. Pilsen is home to the Pilsner Urquell brewery, which gave birth to a pale lager known as a pilsner in 1842. 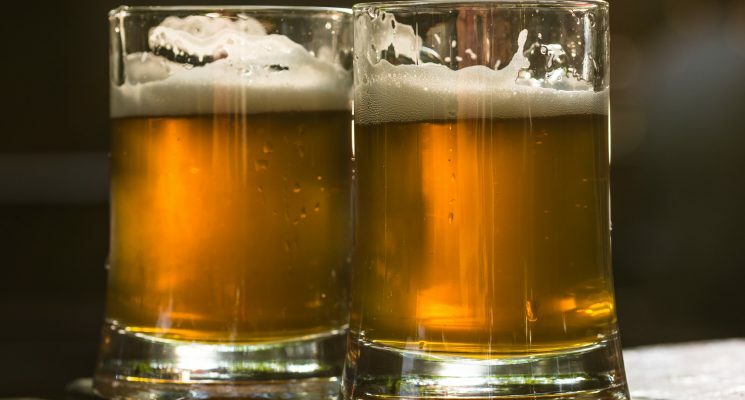 Today pilsner style beers account for two-thirds of all beer consumed in the world. This, essentially, makes Pilsner the world capital of beer! Brewery aside, there are many other things to do in Pilsen Czech Republic. Perhaps you want to explore the miles of catacomb-like underground tunnels in the city? Maybe you are really interested in the history of puppetry in the country? Mayhapse medieval and renaissance weapons are more your thing? Or maybe you simply want to bathe in a beer spa, and consume all sorts of micro brewed beers? Well, you’re in luck, Pilsen can accommodate all of that, and more. So, if you are visiting Prague take some time to leave the city for a day or two, and visit other parts of the Czech Republic. There is so much more to the country than its undeniably awesome capital city. 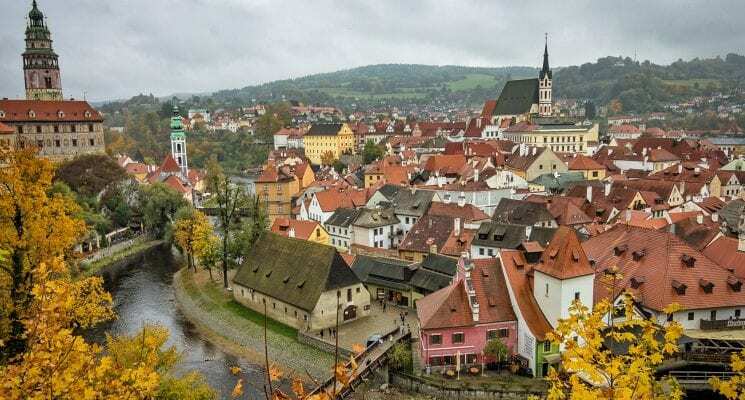 Visit Cesky Krumlov. Visit Karlovy Vary, and visit Pilsen. You won’t be disappointed. When you visit Pilsen you simply must take a tour of the Pilsner Urquell brewery. It’s undeniably the number one thing to do in Pilsen as a tourist. Czech’s drink more beer per capita than any other nationality in the world. In fact, they consume over 148 liters per person, twice as much as people in the United States. 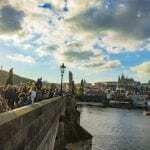 Having spent over six months living in the Czech Republic, it’s easy for us to see why. The beer here is simply delicious. We spent an afternoon touring the Pilsner Urquell brewery, a massive beer producing complex (which sort of makes it holy ground, if you ask us) that is spread out over 128 acres of land. During the two hour tour we learned about the history of the pale lager variety of beer known as pilsner, which was named after the city itself. We got a first-hand look at how the beer is brewed, what ingredients go into making it, and the technique for producing it that hasn’t changed since the company was founded. We also got to see the brewery’s brand new state-of-the-art bottling facility. We toured the brewing rooms that are filled with beautiful shiny copper tanks, and the compounds original underground cellars that still contain ancient wooden barrels filled with fermenting beer. 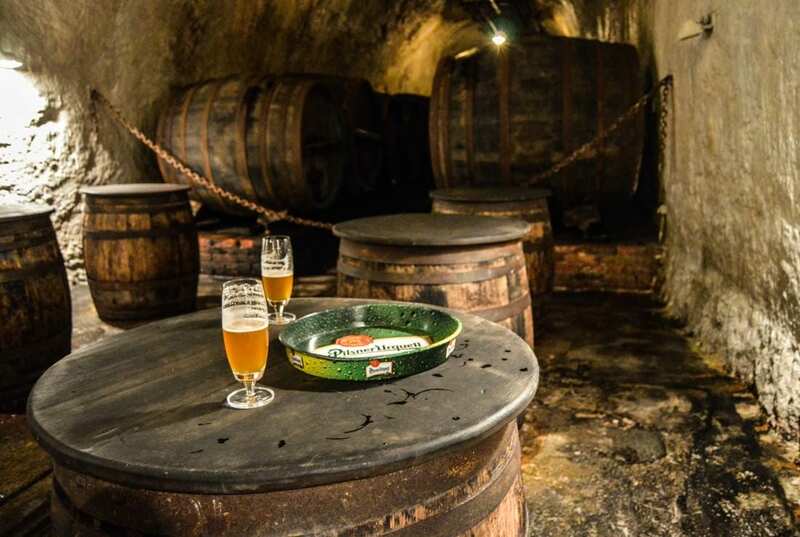 Like icing on a cake, the grand finale was a fine glass of unpasteurized, unfiltered Pilsner Urquell straight from barrels we had seen in the catacombs. Beer doesn’t get any fresher than that, and rarely is it more delicious. 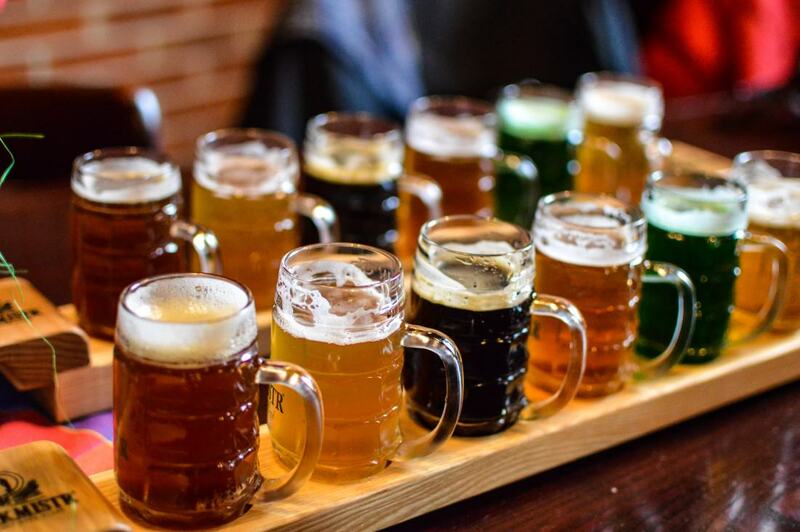 The Pilsner Urquell Brewery Tour will pique the curiosity (and quench the thirst) of beer aficionados and novices alike. 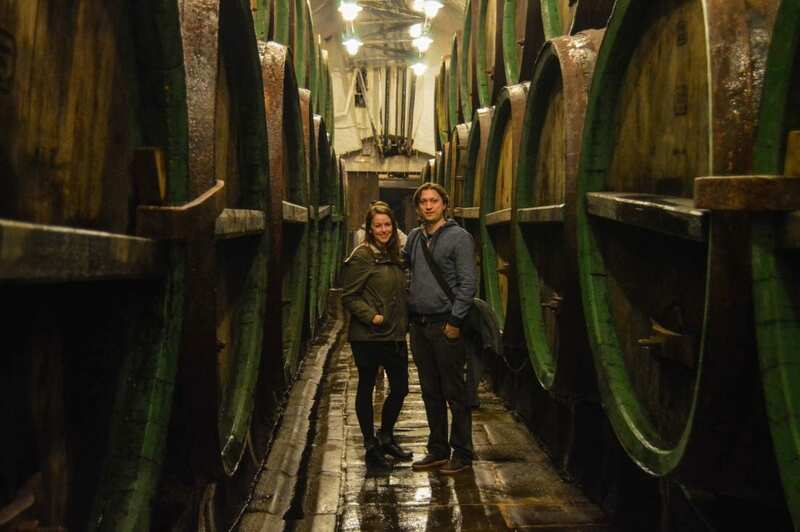 To get a quick glimpse of what we saw, take a look at the below video from Pilsner Urquell. If you are a child, or an adult who wants to awake their inner child, be sure to pay a visit to Pilsen Puppet Museum. 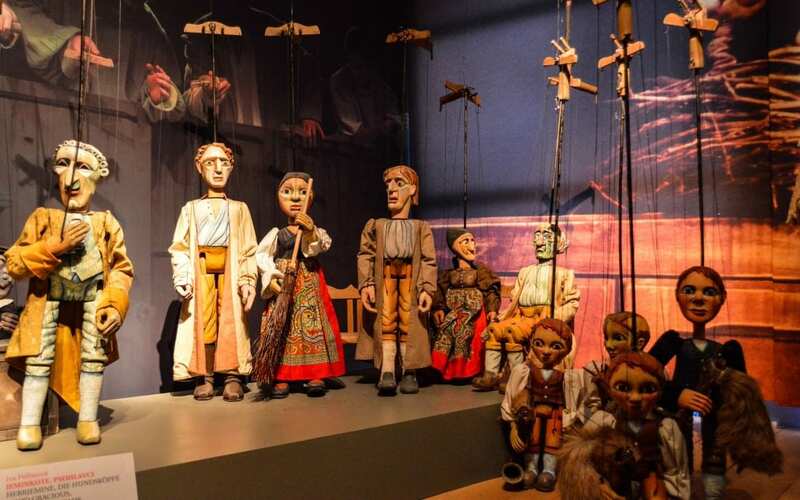 The museum, which is housed in a historic building adjacent to the town square, is devoted to visually re-telling the history of puppetry in Pilsen, and in the region. As we moved through the museum’s three floors we saw how puppetry has changed over the years in the area. With each puppet dressed as a princess, knight, or jester, the child in us clapped its hands with excitement. Devils, warriors, jesters, sinister looking wrongdoers reminded us of nightmares from long ago. It was quite fascinating to realize that these expertly crafted, yet inanimate, puppets were able to evoke a wide range of emotions in us. The top floor is home to the museum’s performance room. Hundreds of puppets lined the walls ready to come alive at a visitor’s demand. We tested the dexterity of our hands by attempting to induce movement and action from each puppet on stage, and ended up losing ourselves in the performance. Despite it being a room intended for children, it was the highlight of the tour for both of us. Who knew puppets could be so much fun for people of all ages? Like most town squares in Europe, Pilsen’s serves an important purpose for the community. It’s where concerts, markets, and other events take place year around. When we were in the Pilsen town square, the Easter Market was in full swing and the square was abuzz with activity. 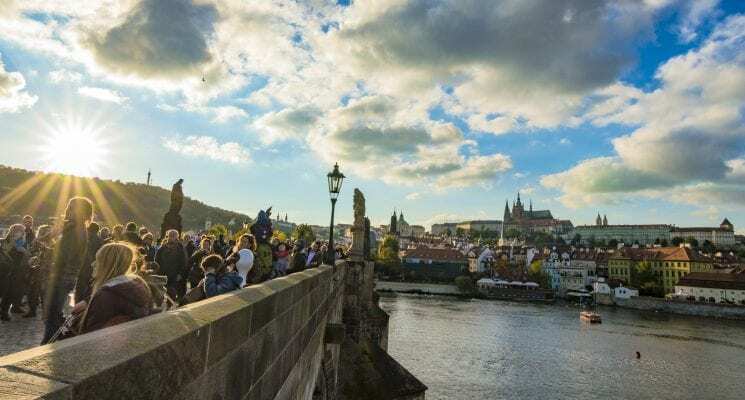 Locals stood around sipping on beers, noshing on a Czech pretzel-like bread, and seemingly enjoying the company of their neighbors. A few things to notice when you visit the town square are the colorful buildings that surround it on each side, the three modern fountains in it that represent a camel, angel, and greyhound (figures taken from the town’s coat of arms), and St. Bartholomew’s Cathedral. The Gothic style cathedral, whose construction started the same year as the town was founded in 1295, houses the Plzen Madonna and boasts the tallest church tower in the Czech Republic. 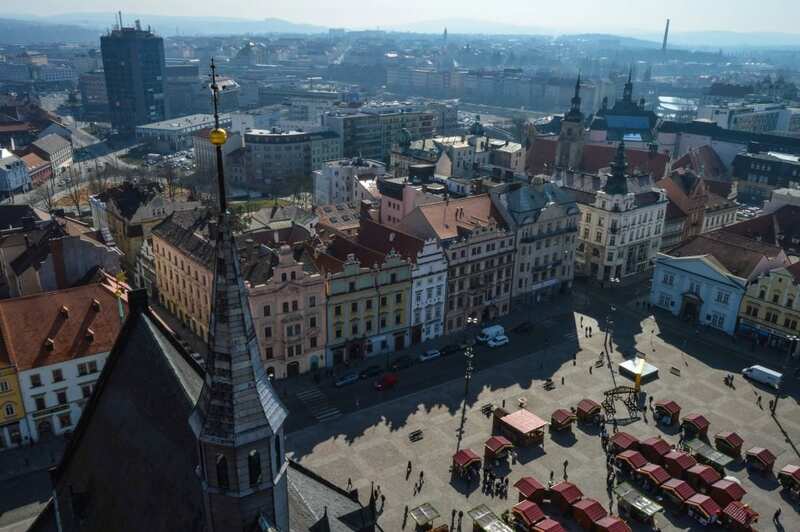 Be sure to climb to the top for a stunning 360 degree view of Pilsen and the surrounding area. Trust us, it’s well worth the 301 steps it takes to climb up. Pilsen’s underground history goes back as far as the 14th century. The ancient tunnel system below the town spans ~12 miles in length and has been crucial to the survival of the towns inhabitants since they were first constructed. The only way to see the tunnels is on a guided tour; go alone and you might get lost, doomed to wander the catacombs for hours looking for an exit. We spent just under an hour, 40 feet underground, exploring about 1/2 a mile of Pilsen’s tunnels while outfitted in hardhats and layers (it’s a chilly and damp 43 degrees down there). The tour started in one of the most important rooms, the Ice Cellar. The room was originally used to house an incredible amount of ice to cool down fermenting beer, that was stored throughout the tunnels by the residents who had brewing rights. 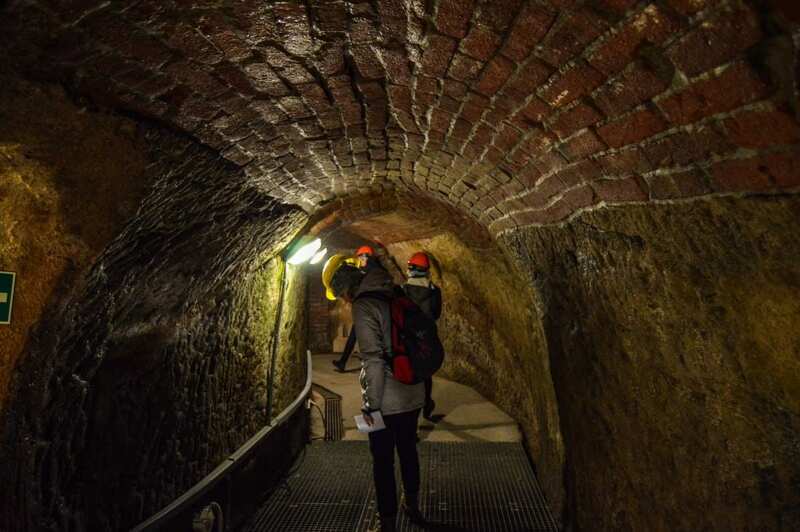 In addition to beer storage we learned that the tunnels have also been used in a multitude of ways throughout history, during both times of war and times of peace. At the end of the tour we were awarded a ticket for a free beer in a nearby restaurant, which only seems appropriate. It’s Pilsner, after all! 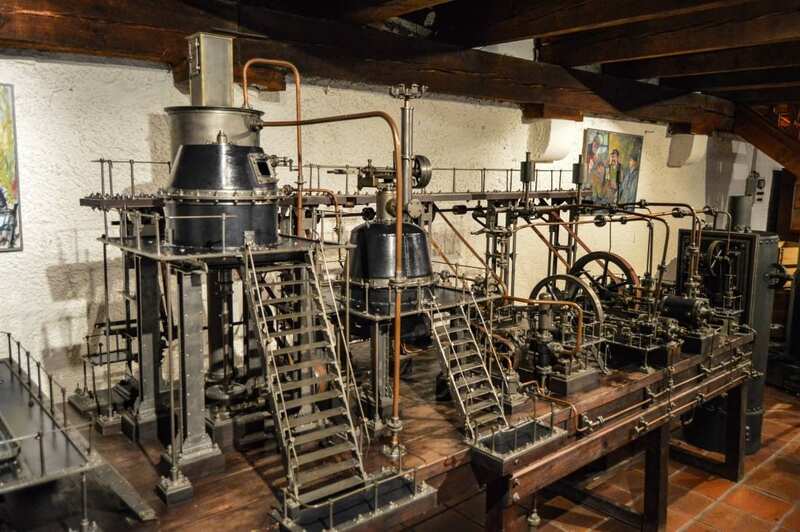 Who knew the art of beer brewing had such a long history? We certainly didn’t. On our tour of The Pilsner Brewery Museum, appropriately located in a 15th century brew house, we learned that beer first appeared in Ancient Egypt and has existed in most cultures around the world. We also got to see the world’s smallest beer jug (big enough to hold a mere drop of beer, which we decided is a downright cruel invention), learned about the history of pubs in Pilsen, more about the beer making process, and saw a miniature (yet functional) beer brewery, as seen above. Pretty neat! The Techmania Science Center in Pilsen is the perfect place for families with children to spend the day. 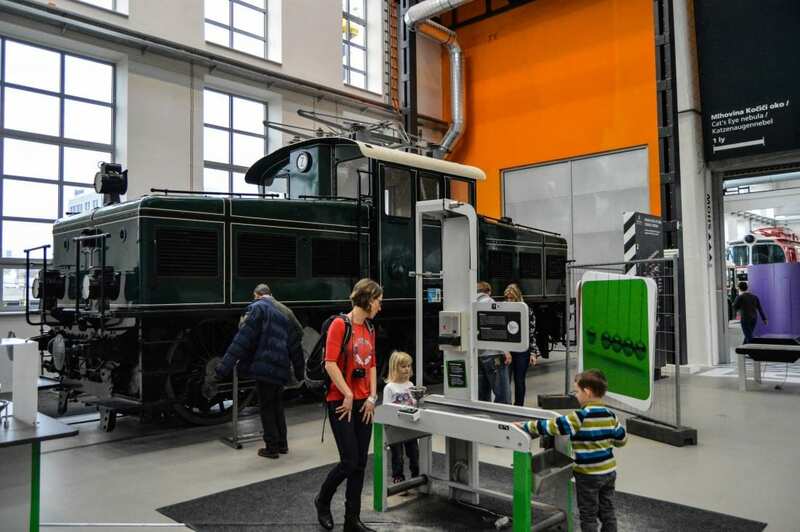 The museum, which is spread out over 100,000 square feet, is located on the site of a former SKODA factory. The complex is so large is houses two real locomotive engines, and actually makes these enormous machines seem small in comparison. Dozens of interactive exhibits are meant to give children (or curious adult) a hands-on experience that both educates them and stimulates their minds. The museum also has a 3D cinema and planetarium, and exhibits are constantly changing so every visit is different. We learned about everything from how movies are made, to planetary science, to renewable energy sources, to nutritional and practical information about the food we consume. There was a lot of ground to cover in this massive space and, just like the children that explored it around us, we were ready for a nap by the time we left! 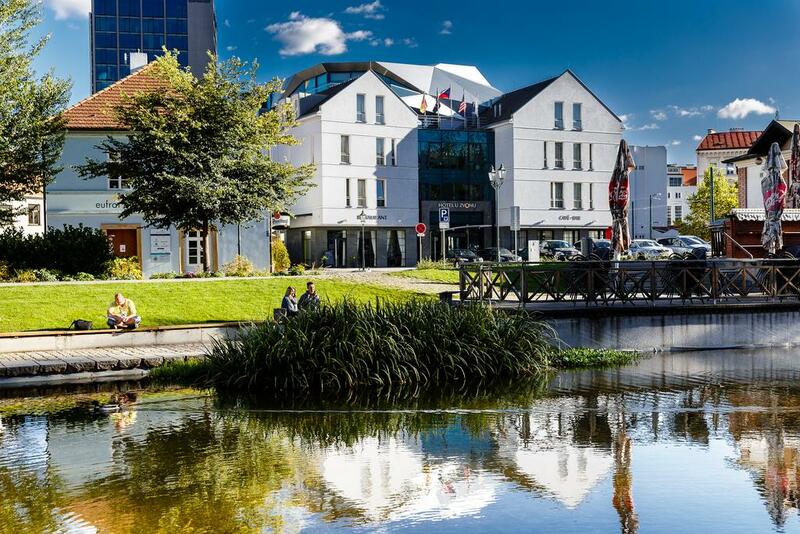 If a spending a day being pampered at a microbrewery sounds like a pleasant experience, the Pilsen Beer Spa & Wellness Hotel Purkmistr is a must visit. 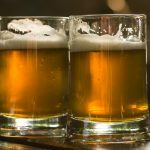 Not only does this hotel brew its own small batch craft beers on site, it also has a spa where you can literally immerse yourself in the various elements beer is comprised of. We got an inside look at their state of the art brewing facilities and sampled a variety of their delicious concoctions. We tried their traditional Pilsner, a Trappist style beer, a dark beer, a ginger beer, and a green seasonal beer made with several different herbs. Each were top quality and pared well with the Czech dishes from their excellent restaurant. We also toured the hotel’s spa facilities where they offer guests the chance to partake in a relaxing beer bath. We can’t think of anything better than soaking in a wooden barrel filled with hot water, barley, hops, and yeast, while sipping on beer from a private tap. Looking for a hotel in Pilsen? We highly recommend Hotel U Zvonu. We stayed there for two nights and couldn’t have been more happy with the beautiful decor, our cozy room, and the restaurant’s fantastic breakfast buffet. Click here to check prices, read reviews, and book your stay. Disclaimer: Special thanks to the Pilsen Tourism Board who hosted us and organized our trip. As always, all opinions expressed are 100% our own. We have included a few handy little affiliate links in case any of our readers want to book accommodations. We receive a small commission for any sales made, without any additional cost to you, our dear reader. I was so happy to see this post! I studied abroad in Prague and did the day trip to Plzeň with some fellow students. We ended up loving the town so much, we barely made it on the last train back to Prague! The brewery is wonderful and the restaurants that surround the area are great. Thank you for this virtual trip down memory lane! Our pleasure Natalie! When were you last i the Czech Republic? I visited Plzeň last month and loved it. My great grandmother lived in an apartment building that is now Hotel Victoria. I loved all of the food, the St. Bartholomew’s Cathedral view, and the brewery tour.